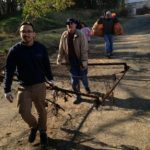 About twenty-five volunteers came out on Saturday and removed trash from Jefferson Park, off Route 1 in Woodbridge. 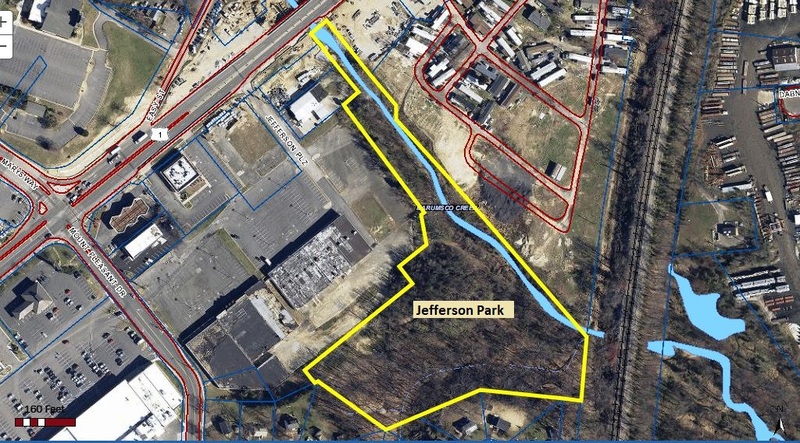 Jefferson Park is a wooded parcel in the PWC Parks Dept inventory, currently undeveloped and with no established entry point. 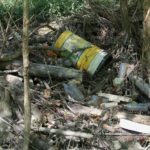 Marumsco Creek flows through the parcel; storm water carries some trash into the area, other trash has accumulated over time. 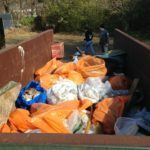 PWC County Public Works provided a dumpster and a truck, and disposed of the collected trash. 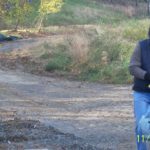 The 30-yard dumpster was about 2/3 full, and the truck hauled away 23 tires, a propane tank, and miscellaneous large metal items. 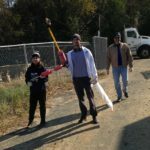 Thanks to the volunteers who participated, ranging through the park to gather up and remove trash from this part of our community. 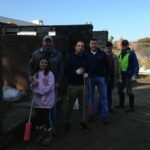 Thanks to the Garrett Companies for allowing us to stage the cleanup from their property. 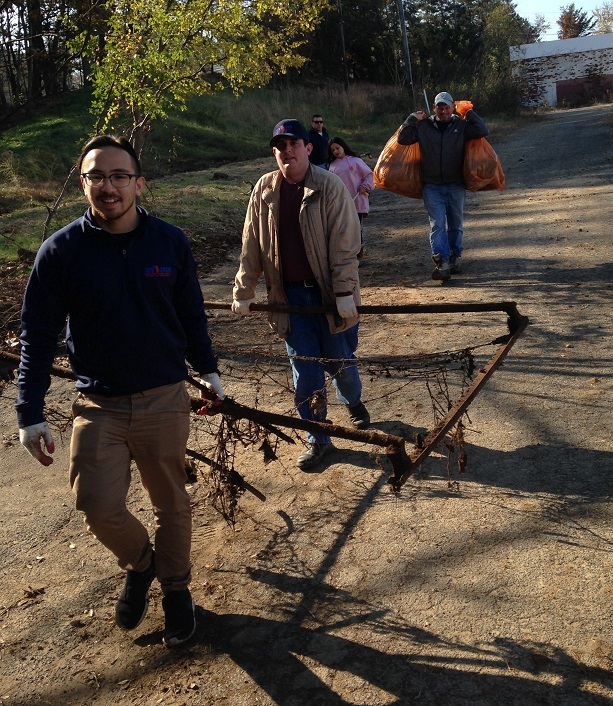 On Saturday, November 17, 2018, we’ll partner with the PWC Parks & Recreation Department, PWC Dept of Public Works, and the PW Soil & Water Conservation District on a trash cleanup in the Woodbridge district. 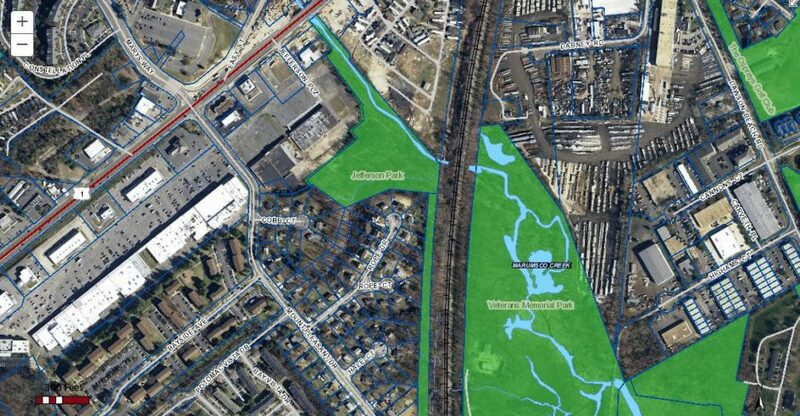 We’ll focus on Marumsco Creek, where it flows through Jefferson Park and Veteran’s Park. 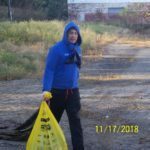 The cleanup will be part of a larger public outreach event on Plastics Pollution Prevention and Cleanup, with educational exhibits setup at Veterans Park. 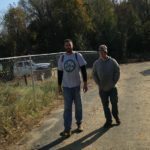 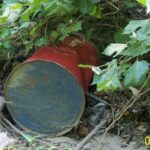 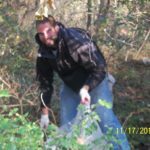 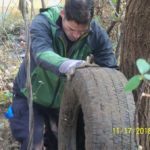 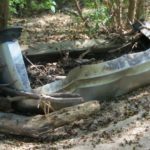 VETERAN’S PARK CLEANUP: There will be cleanup opportunities throughout Veteran’s Park, both in the developed area and in Marumsco creek and its wetlands. 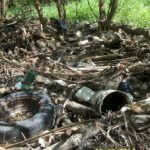 If you plan to participate in the Marumsco Creek and wetlands cleanup, be prepared for wet and muddy conditions. 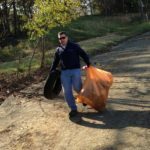 Click here to register for the Veteran’s Park cleanup. 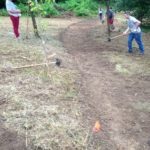 Volunteers will gather inside the park near the recreation center, and the pavilion across the street. 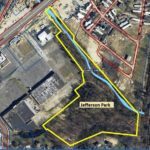 JEFFERSON PARK CLEANUP: Jefferson Park is an undeveloped PW County park, with limited access at this time. 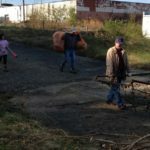 For the cleanup, volunteers will gather at the Jefferson Plaza parking area, off of Route 1 in Woodbridge. 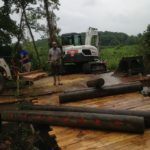 It is a 7-acre wooded parcel which includes a segment of Marumsco Creek. 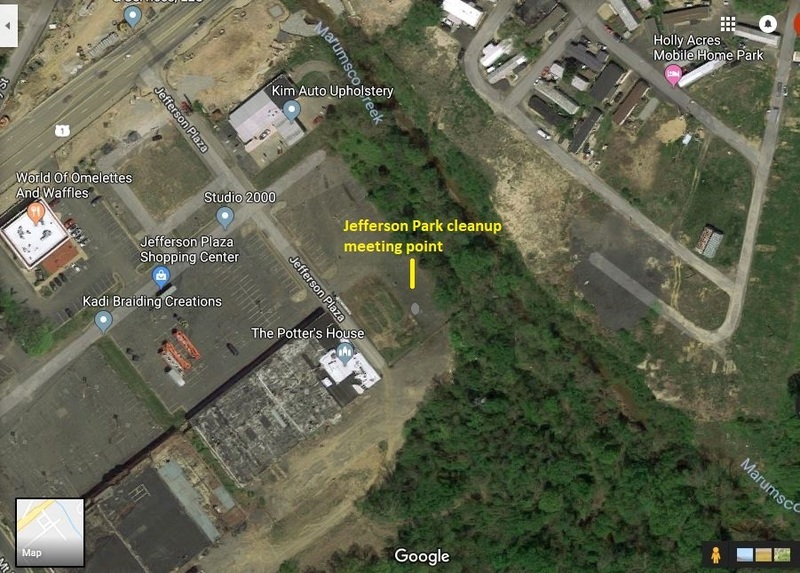 The street address is 13729 JEFFERSON DAVIS HWY, WOODBRIDGE, VA 22191, and the meeting location for the cleanup is shown on the map below. 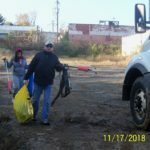 Click here to register for the cleanup in Jefferson Park. 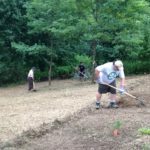 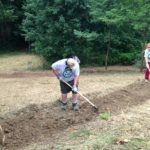 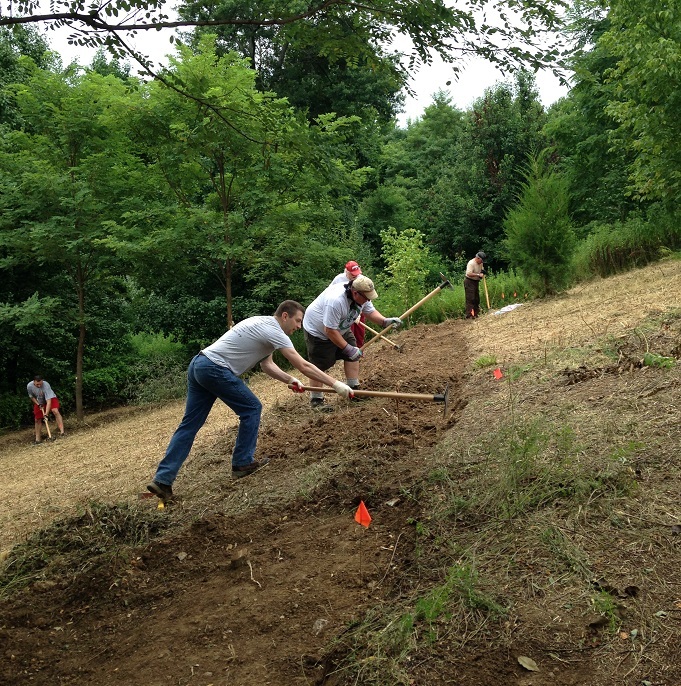 Thanks to the volunteers who came out on Saturday (July 21, 2018) to work on the new trail connection which links Neabsco Eagles Park with the trail network in Metz Wetlands. 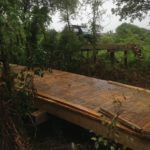 Within Metz, the trail continues to the Neabsco boardwalk which is under construction, a part of the Potomac Heritage National Scenic Trail. 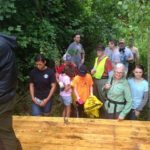 The Wetlands, PHNST and boardwalk will be accessible from the parking area at Neabsco Eagles Park. 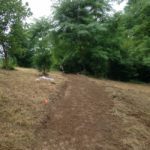 We made good progress on the new trail connection before the rain started, and also hiked down to see the new Neabsco boardwalk. 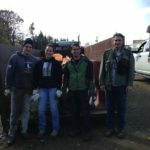 The construction crew was at work on Saturday, at the location where the boardwalk enters Metz. 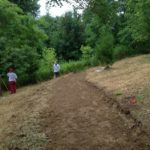 Work is underway on the landing ramp, and observation areas.